Filing will begin on August 1, 2016 at 8:00 a.m. (PST). Filing End: Filing will be suspended after the first 3000 applications are received or by Thursday, August 4, 2016, at 5:00 p.m. (PST), whichever occurs first. Applications after the first 3000 will not be considered. The ACCOUNTING TECHNICIAN I, R0642J, examination posted today, March 23, 2016. Filing will begin on Monday, March 28, 2016 at 8:00 AM, PST. There is a cap of 600 applications for this exam. As stated on the job bulletin, if we reach the cap before the closing date, the exam will be closed at that time. The ACCOUNTING TECHNICIAN II, R0643K examination posted today, March 23, 2016. Filing will begin on March 28, 2016 at 8:00 AM, PST. There is a cap of 500 applications for this exam. As stated on the job bulletin, if we reach the cap before the closing date, the exam will be closed at that time. This is to let you know that the following examination will open for filing on Monday, March 3, 2014.FILING WILL BE SUSPENDED AFTER THE FIRST 5000 APPLICATIONS ARE RECEIVED, OR ON WEDNESDAY, MARCH 05, 2014 AT 5:00 P.M. (PST), WHICHEVER OCCURS FIRST. Please see the attached bulletin for more information and distribution. The system will not post or accept applications for these exams until Monday, March 3. You may start filing as early as 12 AM (midnight) on March 3. People do that. By the time Human Resources open business in the morning 8 AM, there will probably be many applications that being filed overnight through the system already. This is the link to the home page only. No actual link for the exam yet until March 3. You will need to search (or click “Administrative”. Good Luck everyone! 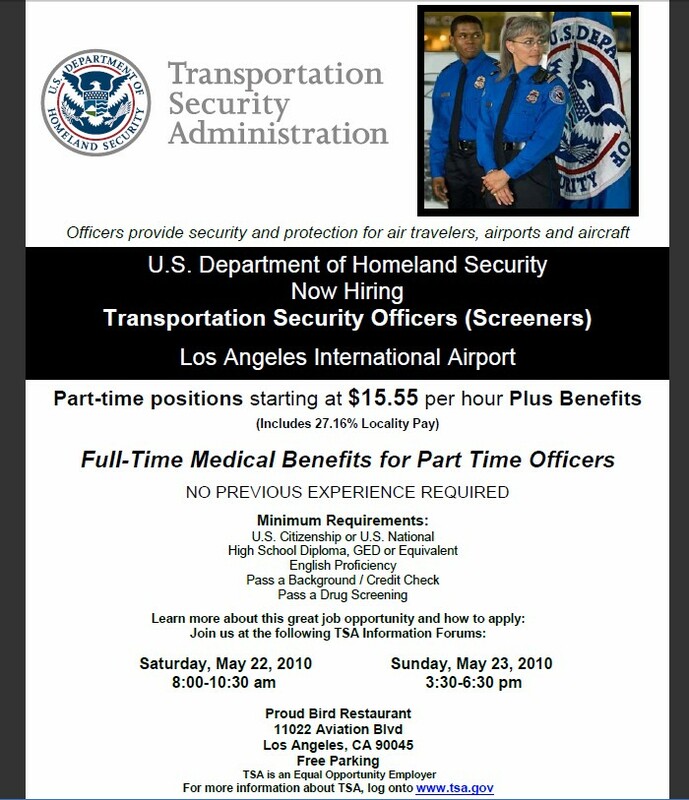 County of Los Angeles has a job for you. 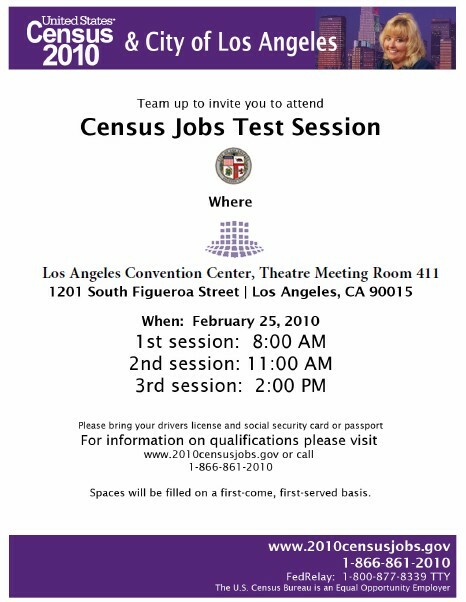 County of Los Angeles has jobs for you. Please be advised that when applying for an exam requiring a degree and/or license, a copy of the official diploma or transcripts or a copy of the official license must be attached to the application at the time of filing. If unable to upload the required documents, applicants must fax the required documents to (562) 401-2885. Applicants must include their name, exam title and exam number on all faxed documents. Failure to submit the required documents will result in a rejection of your application. Please click the following link(s) to view the job(s). FILING END: Open continuous filing. This examination may close without prior notice. Please Note: Applications MUST be submitted online. Attached is the Bulletin for Recreation Services Leader (Recurrent) for the REAACH program. This exam is open to everyone. Please note: accepting ON-LINE APPLICATIONS ONLY. Paper applications WILL NOT be accepted. Please share with those who do not have access to e-mail. Attached is the Bulletin for Application Developer I. This exam is open to everyone. http://hr.lacounty.gov/wps/portal/dhr will take you to the main JOB SEARCH screen. Please note: Filing begins on Wednesday, November 14, 2012. We are accepting ON-LINE APPLICATIONS ONLY. Paper applications WILL NOT be accepted. The link will not be active until Wednesday, May 2, 2012. Requirements: ONLINE FILING ONLY. APPLICATIONS WILL NOT BE ACCEPTED BY MAIL, FAX, OR IN PERSON. Option 3: A certificate or Associate in Arts degree in clerical procedures or office administration from an accredited* college. Intermediate Clerk / Light Typing: Ability to type at a rate of 25 words per minute. Intermediate Typist-Clerk: Ability to type at a rate of 40 words per minute. New Job Opportunity: PUBLIC INFORMATION OFFICER II. Here’s an exam that the Probation Department runs every few years that leads to what appears to be an interesting and challenging career. Please share with anyone you believe would be interested. Good morning everyone, The Probation Department has the following Open Competitive Job Opportunity available: Investigator Aid, Probation, Exam Number F8670E. Please click the following link to view the job. This announcement is a rebulletin to reopen the filing period and to update application and filing information. Persons who have already applied within the last six months need not reapply, but may submit additional information by the last day of filing. The information must include your name, the correct examination title and number. per week plus and benefits. 3345 Wilshire Blvd. Suite 300 1031 S. Hill St.
FACILITIES MANAGER: This position is responsible for the day to day management of facilities staff and operations of the Association’s facilities, grounds and equipment. Will ensure that all YWCA program sites operate in a manner that support program and membership services, and are safe, hazard free, and in compliance with all regulatory statutes. Position will also be responsible for managing service contracts. Requirements: Must possess a High School diploma with 3-5yrs experience managing maintenance or plant staff. PROGRAM LEADER: Will provide homework assistance, tutoring and assist in implementing fun lesson plan activities that are curriculum driven; and an enrichment of recreation activities such as sports and games, arts and crafts, computer, cooking, dance and drama to a group of twenty (20) Middle School youth. Requirements: High School diploma or GED. Demonstrated ability to work with Middle School youth. TB test clearance. Child abuse clearance. Good oral and written communication skills. Valid California Driver’s License. COOK: Will provide a high quality Child Care Food Program in accordance with state rules and regulations to children enrolled in the YWCA Child Development Center. Position will be responsible for planning menus and ordering food and supplies in the correct quantity to meet requirements. Prepare food while maintaining a clean preparation and service area. Requirements: High School diploma or equivalent. Minimum of one year experience as a cook with safe serve certification. SUBSTITUTE TEACHER ASSISTANT: Must have completed 6 to 12 units in Child Development. Hours vary from 7:00 am to 6:00 pm Grade 22B - min $12.00/hour. Angeles Mesa, Compton, San Fernando and East L.A.
CAREER MANAGER/COUNSELOR (Permanent): Responsible for educational guidance, vocational counseling, counseling for personal and social adjustment and evaluation and participation in periodic assessments of each student’s performance. This position interacts with students either directly or indirectly and is expected to demonstrate positive employable skills and intervention techniques to support student success. Requirements: Master of Arts Degree preferred, Bachelors Degree require (in the field of counseling and guidance, social work, vocational rehabilitation, sociology, psychology or related field) Must have the required 15 semester hours directly pertaining to counseling. Minimum of one year experience in counseling or related position, preferably in a setting working with youth. Maintenance of a valid CA Driver License and proof of a driving record acceptable to the Center’s insurance company. PURCHASING MANAGER: Will provide direction, management and leadership in the overall development , implementation and maintenance of the Purchasing/Procurement office, exercising controls to see that contractual obligations are achieved. Duties include but not limited to, directing the staff and activities of a Job Corps Center in compliance with the established DOL/Job Corps contracts and YWCA policies. Responsible for budgets, regularly reviewing and updating department Director’s on performance and services related to Procurement. Maintaining procurement functions including price/cost, request of quotations, proposals, bidding and negotiations and monitoring Center Purchasing performance. Will be responsible for review and/or development of statement of work, including reports. Manage assigned procurement projects from start to finish, consulting with and updating status for the requesting department. Requirements: BA Degree in Finance/Business Administration or related field. Minimum of five years experience in Procurement/Purchasing management and direction. Must have experience with Non-Profit Organization, DOL Regulation and FAR Rules. Must be able create and analyze financial information, strong verbal and written communication skills with strong analytical skills. Proficient in Excel and Microsoft office applications also required. CAREER MANAGER/COUNSELOR (Bilingual): Responsible for educational guidance, vocational counseling, counseling for personal and social adjustment and evaluation and participation in periodic assessments of each student’s performance. This position interacts with students either directly or indirectly and is expected to demonstrate positive employable skills and intervention techniques to support student success. Requirements: Master of Arts Degree preferred, Bachelors Degree require (in the field of counseling and guidance, social work, vocational rehabilitation, sociology, psychology or related field) Must have the required 15 semester hours directly pertaining to counseling. Minimum of one year experience in counseling or related position, preferably in a setting working with youth. Maintenance of a valid CA Driver License and proof of a driving record acceptable to the Center’s insurance company. CAREER MANAGER/COUNSELOR (Temporary): Responsible for educational guidance, vocational counseling, counseling for personal and social adjustment and evaluation and participation in periodic assessments of each student’s performance. This position interacts with students either directly or indirectly and is expected to demonstrate positive employable skills and intervention techniques to support student success. Requirements: Master of Arts Degree preferred, Bachelors Degree require (in the field of counseling and guidance, social work, vocational rehabilitation, sociology, psychology or related field) Must have the required 15 semester hours directly pertaining to counseling. Minimum of one year experience in counseling or related position, preferably in a setting working with youth. Maintenance of a valid CA Driver License and proof of a driving record acceptable to the Center’s insurance company. CAREER TRANSITION SPECIALIST: This position directly places students in a job, approved apprenticeship program, school, or other non-wage paying institutional training program or Armed Forces, including full-time Reserve Forces and to verify placements. Requirements: Bachelors Degree or four (4) years experience, with one (1) year experience in sales, marketing, or counseling related services. Must be able to deal effectively with students, staff, and general public. Maintenance of a valid CA Driver License and proof of a driving record acceptable to the Center’s insurance company. CENTER PROTECTION OFFICER F/T and (ON-CALL): This position is responsible for patrolling the center’s grounds to ensure safety of staff, students, and visitors. The duties will involve control, surveillance, identification, monitoring, investigation, and reporting of all matters pertaining to center property, facilities, students, staff, and visitors. This position will ensure that guests sign in at the reception area and receive temporary badges during their visit and that all staff and students are wearing their ID badge. Requirements: High school diploma or equivalent, Minimum of one (1) year security or relevant experience required. Excellent customer service skills, working with youth, preferred, must be available to work a varied schedule. Maintenance of a valid CA Driver’s License and proof of driving record acceptable to the Center and its insurance carrier. DRIVER/MESSENGER (ON-CALL): Will drive Center vehicles to transport students and staff and to make pick-ups and deliveries. Assists in the upkeep and maintenance of vehicles and perform incidental clerical work. Requirements: High school Diploma or equivalent, Valid CA Commercial Diver License-Class B, Experience driving vehicles/buses of over 25 passengers preferred, Must have Air Brakes endorsement only; Knowledge of auto equipment and maintenance procedures. Maintenance of a valid CA Driver’s License and proof of driving record acceptable to the Center and its insurance carrier. INSTRUCTOR, OFFICE ADMINISTRATION: This position will provide professional instruction in the area of assignment, to assist student in the development if vocational competencies and communication skills necessary for success in the world of work. Responsibility include but not limited to: developing and implementing supplementary training material designed to enhance the learning process and engaging student’s attention towards the learning process, evaluating and reporting student’s progress, ensuring that attendance and accountability of student in their area of responsibility is strictly monitored and evaluating, recording and making regular reports to the Office Administration Supervisor. Requirements: AA Degree in Business or related major or three (3) years of related experience. Valid or Out –of -State Vocational or Occupational credential. Certification in Microsoft Office 2007 (Word, Excel and PowerPoint). Maintenance of a valid CA Driver’s License and proof of a driving record acceptable to the Center and its insurance carrier. INSTRUCTOR, MULTI MEDIA (PT): This position provides assistance to students in the achievement of academics competency as well as proficiency in digital communications, which will complement and enhance their vocational training at Job Corps. Additionally, this teacher will provide, through basic video production training, the foundation of a Multimedia Club which will continue after the completion of the course. Other duties are providing adequate lessons plans, provides hands on training to students, complies reports and information with the Manager, Academic Education concerning student’s progress and status. Requirements: Bachelors Degree preferred in Video Production or any related field of audio / visual media. Maintenance of a valid CA Driver’s License and proof of a driving record acceptable to the Center and its insurance carrier. RECREATION SPECIALIST (On-Call): To plan and administer a structured program of recreational activities such as cultural events, arts and crafts, for student’s leisure hours. Part-time position works 16 hours per week. Requirements: BA/BS Degree with major preparation in recreation, physical education or a Behavioral Science or equivalent experience. Maintenance of a valid CA Driver’s License and proof of driving record acceptable to the Center and its insurance carrier. PROGRAM ADVISOR (On-Call): Will work in the Residential Living Department, fostering a dorm atmosphere conducive to personality and character development through the encouragement of favorable behavior patterns. Monitors students that live on a residential floor, to ensure that student’s are in compliance with the rules and regulations of the Center. Facilitates prompt and appropriate assistance in the event of injury, illness, traumatic experience and emotionalism; will be responsible for the documentation of student activity and incidences within the department. Requirements: AA/AS Degree in a behavioral science, recreation, education or related field and a minimum of one (1) year experience working with the youth. Experience working in a residential facility, preferred. Maintenance of a valid CA Driver’s License and proof of driving record acceptable to the Center and its insurance carrier. TEACHER & (On-Call/Substitute): Teaches Basic Math, Reading and Language skills in accordance with approved curriculum, develops curriculum education and training aids. Requirements: BA/BS degree in education or related field with emphasis on skills and disciplines to be taught. Valid California Teaching Credential is required (valid out of state credential acceptable). Minimum of one (1) year teaching experience, proficiency and/or certification in Microsoft Office programs, (Word, Excel, PowerPoint) 2007 preferred. Maintenance of a valid CA Driver’s License and proof of driving record acceptable to the Center and its insurance carrier. ONLINE FILING ONLY. PAPER APPLICATIONS WILL NOT BE ACCEPTED. With California hit hard by the national economic recession, you or someone you know is probably looking for a job. If so, don't miss the 14th Annual Community Job & Information Fair at Los Angeles Dodger Stadium on Sat., Mar. 14th from 9:30 a.m. to 1 p.m. At least 60 prospective public and private sector employers will be looking for the right person to join their team. Positions in the L.A. County family are available, too, and include openings in the Dept. of Human Resources, the Dept. of Military and Veterans Affairs, the Office of Education, the Office of Public Safety, and the Sheriff's Dept. Note: This is a non-career position with no benefits or guaranteed hours. Transitional Employee (TE’s) earn annual leave, paid vacation time. T.E. terms can last up to 365 days. If you need more job opening link , let me known , I am happy to provide, thanks for your response and good work. 洛杉磯市水電管理局 (Los Angeles Department of Water & Power) 是洛市政府的一個獨立運作機構, 有一百多年的歷史, 每年為市府帶來億元的收入, 是全美國規模最大的市立水電公司,目前擁有大約九千名各行各業的職員服務. 給與員工的職薪和福利是全國公務員中相對來說最為優厚的,職業提陞方面的機會也很多. 在科技方面, LADWP 和其他私立大公司一樣走在科學最尖端的技術和設備. 職員不但得到公務法的保護,也擁有一個龐大而有影響力的勞工組織. 公司目前面臨最大的挑戰是職員平均年齡的老化現象,在未來五到十年內有成千的工作人員到了退休年齡, 公司急需聘請和培訓更多的人才來代替.